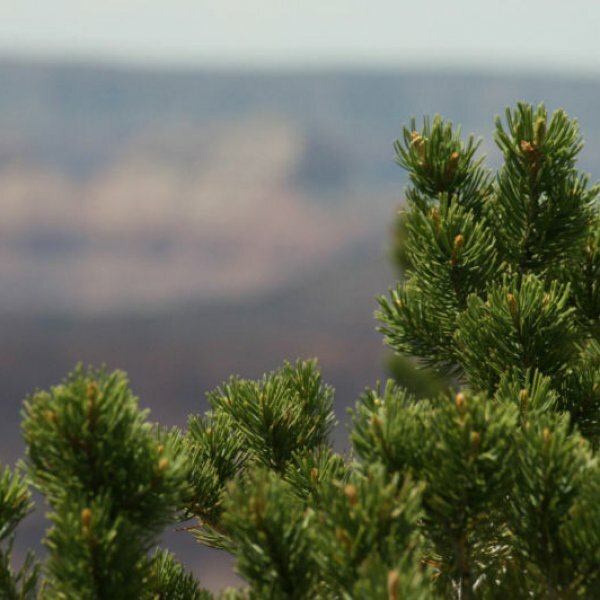 The pinyon pine is a signature tree of the inland west. 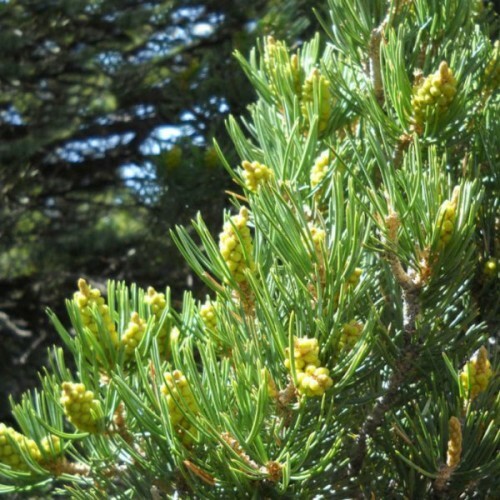 It is an slow-growing pine for arid regions. 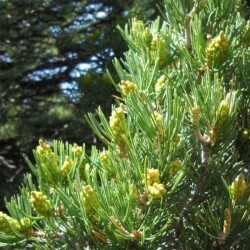 In the wild it grows in the dry mountains of the southwestern United States. 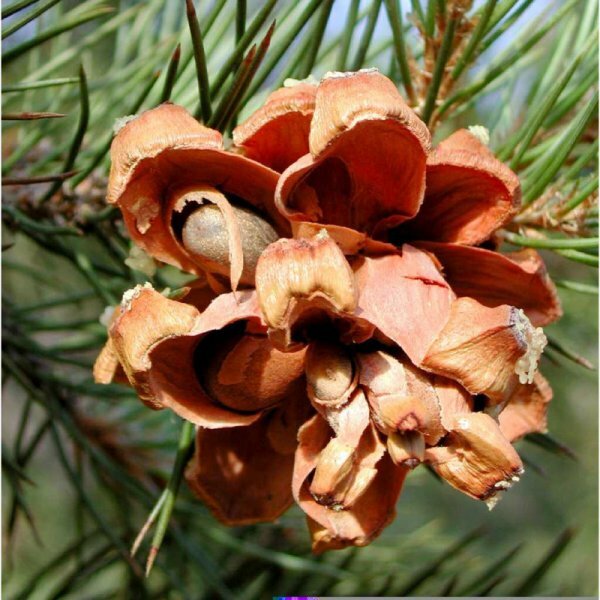 Its pine nuts are edible and were an important food source for indigenous tribe's people. These are the pine nuts of culinary commerce. The pinyon has a symmetrical habit in its youth but becomes more rounded with age. Its needles are in twos, dark green in color and highly fragrant. It bears beautiful small, round, nut-filled cones that are decorative and highly valuable to wildlife.